Email marketing is one of the oldest and most effective forms of online communication. It remains an extremely powerful way to promote your business. When considering various small business marketing strategies, some people worry that email is becoming obsolete in the age of social media and smartphones. This is not the case. Let’s look at why email marketing is just as relevant as ever and how it can help you build your business. Here are some of the leading benefits of email marketing for small businesses. Most people check their email multiple times per day. Email is the primary form of communication for most businesses. Employees are constantly checking both their personal and work email. The popularity of mobile devices has actually made email even more addictive. People carry their smartphones and tablets everywhere, making it possible to open and send emails wherever they are. You can control every aspect of email marketing. 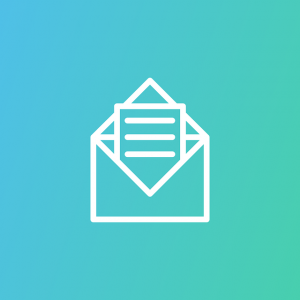 When you have a list, you can email your subscribers whenever you want. Most other types of online marketing, including SEO and social media, are largely dependent on the algorithms of Google, Facebook or other entities. Your email list is all yours. Brand-able and customizable. With email, you can customize the look, style and tone of your messages. You can brand yourself with a template appropriate to your industry. You can personalize emails by addressing people by name. This makes email the digital equivalent of receiving personal letters in the mail. Results are easy to measure. With the right tools, it’s easy to track every aspect of an email marketing campaign. You can test different elements and pinpoint exactly what works best for you. One of the most economical form of marketing. Email is one of the cheapest marketing methods. While you may invest in an email marketing service such as MailChimp, it doesn’t cost much to send out large numbers of emails. Although email is one of your best choices for small business marketing it’s also very competitive. In order to get the results you want from email marketing, keep the following guidelines in mind. Use a compelling and honest subject line. The subject line is what determines whether your message gets opened at all. Convey the main point of your email in the subject line. Never try to trick people into opening your message with false promises, though. This will only harm your credibility and cause people to unsubscribe. Make sure your emails are mobile-friendly. An increasing number of emails are opened and read on mobile devices. Keep messages short and on point. The longer the message, the more of a chance of losing your reader’s attention. A few informative paragraphs and an image or two is all you need. Always include a clear call-to-action (CTA). Remember your ultimate goal isn’t to get someone to read your message but for them to click on a link and get them to take further action. Track your email analytics. Test elements such as subject lines, topics, CTAs and other elements to find out what works best. These are some of the ways to get the most out of your email marketing efforts. If you focus on delivering relevant messages and staying in touch consistently, email helps you build relationships with your customers. Email and other small business marketing tactics can help you reach more customers and build your business. Another way to grow your business is to improve your cash flow with invoice factoring. This is a type of funding where a factoring company provides you with immediate cash by purchasing your accounts receivable. For more information on this and other financial services for businesses, contact Riviera Finance.